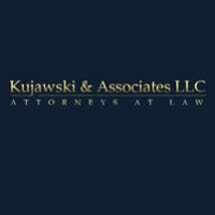 The law firm was established by John P. Kujawski over thirty years ago. Based in O’Fallon, Illinois, the firm specializes in the Federal Employers’ Liability Act (FELA), personal injury, motorcycle accidents, auto accidents, medical malpractice, product’s liability, workplace/industrial accidents, and general negligence. In addition to our O’Fallon location, we have a large practice in St. Louis, Missouri and throughout the Midwest with employees in Arkansas, Indiana and Illinois. Our attorneys are members of one or more of the following state bars: Illinois, Missouri, Tennessee and Nebraska. However, we have also appeared in the state and federal court systems of approximately 15 other states in the representation of our clients. The individual members of the firm were all brought up in working families. John Kujawski is a member of the International Union of Operating Engineers and Local 520. His father, Charlie, was also a member and has since retired. As a result, all are committed to the principles for which Organized Labor stands and provide the highest quality of representation to workers and their families who find themselves in need of legal assistance. Our firm enjoys the highest legal rating attainable, that of an (AV) rating as determined by Martindale, a national rating agency overseeing attorneys. The principal work conducted by our office is the representation of injured workers, car and motorcycle accident victims, people injured by defective products and those hurt by medical malpractice. In that context, we have tried many cases throughout the country and have obtained multiple verdicts in excess of $1 million. We have always striven for and obtained high-quality settlements for those who have chosen not to proceed to trial. We have endeavored to represent our clients with the highest degree of care and professionalism. We have always given the interests of our clients the highest priority.